Give your office a new seaside look with the Dolphin Trio on Black Marble Base. 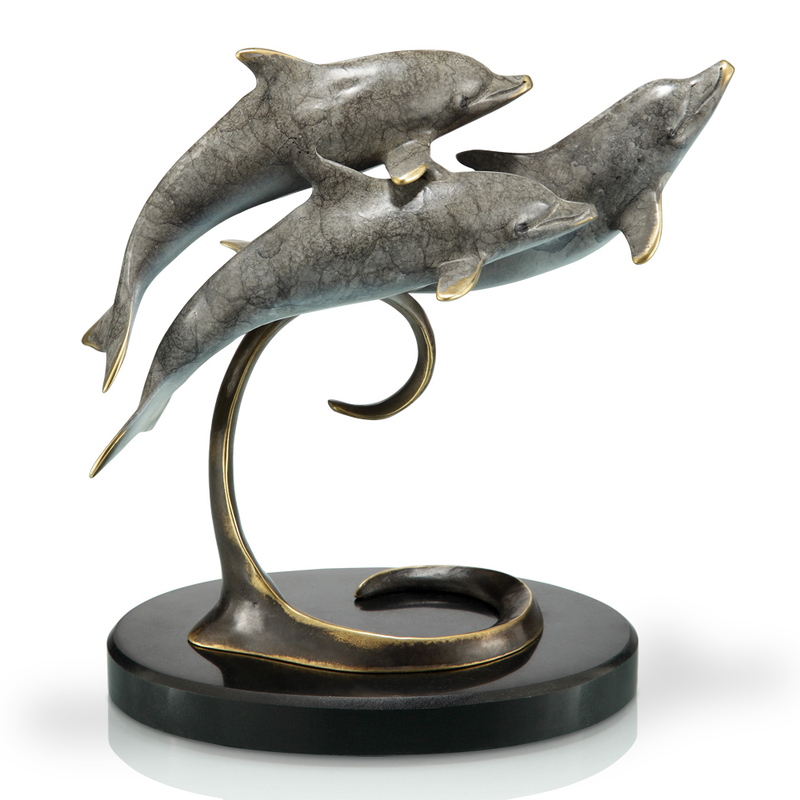 This sculpture features three gorgeous gray dolphins atop a round black marble base. ~ Ships from the manufacturer. Allow 1 week. Cannot express ship. Newsletter SIGN UP TODAY! Get special offers and deals sent to your inbox. See what other shoppers are saying about Bella Coastal Decor. "I ordered two items...each was shipped individually and arrived within the time span they had stated. The merchandise was of very good quality and I would definitely shop there again when looking for similar products."